Happy National Medical Lab Professionals Week! 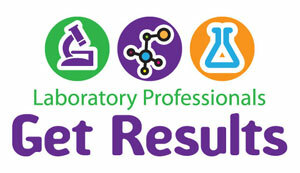 This week April 22nd-26th help us celebrate and increase public awareness for National Laboratory Professionals Week! Every year, the last week of April designates this special week commemorating the more than 300,000 professional lab techs and pathologists who work, most times behind the scenes, to keep the entire health care field running smoothly. Each day these valued healthcare professionals (in their UA scrubs) conduct vital testing and analyze these more than 10 billion US lab tests annually with the ultimate goal of saving patient’s lives! Thank you to all of our customers who are in the Lab Professionals field, we take this week to recognize how important your work is in interpreting and relaying this critical information! How are you celebrating your 2013 National Lab Week?